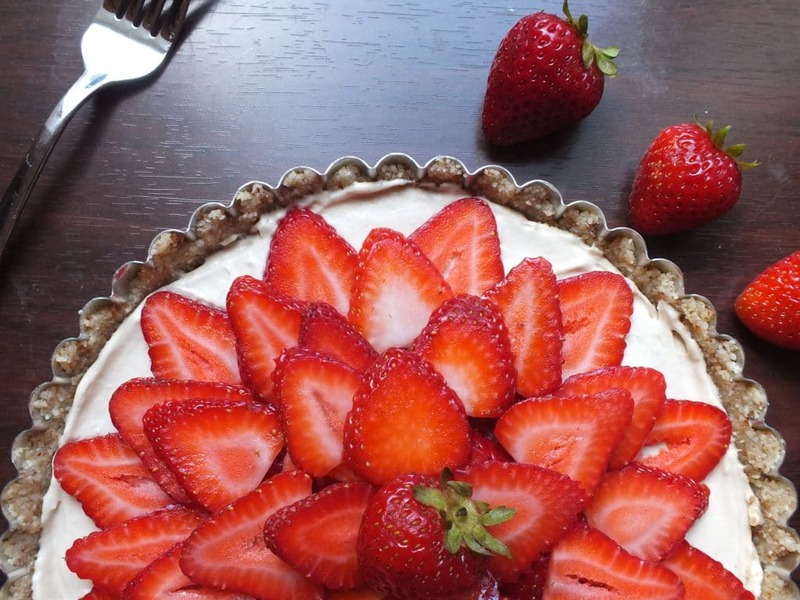 Strawberry pie is synonymous with summertime. And so is simple. 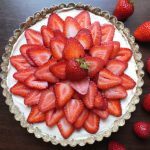 We didn’t feel like going to all the trouble of making and baking a homemade crust, and then drowning already delicious berries in the sugary jello that is traditional of strawberry pie filling [that’s not to say we don’t enjoy that kind of strawberry pie, too.] Instead, we opted to not turn on the oven and keep this recipe as minimal as possible. 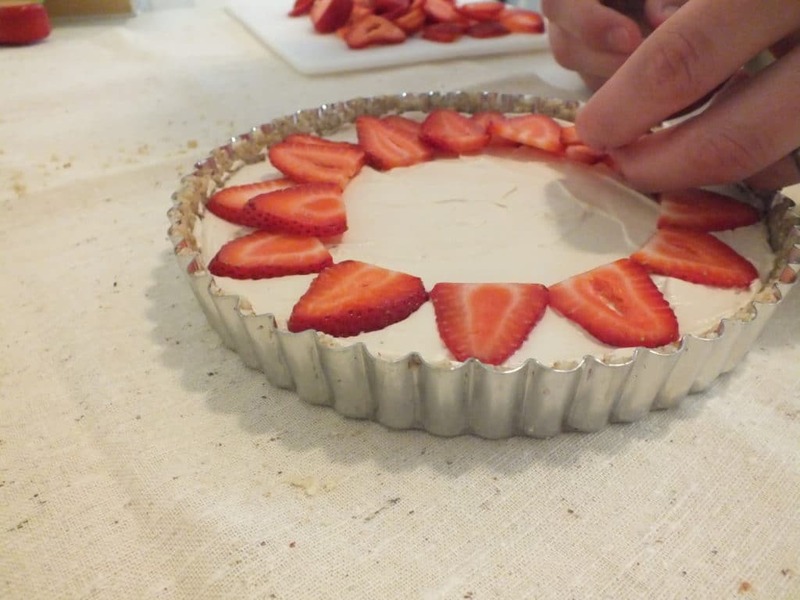 The crust is perfect: almost like shortcake with a slight sweetness and a hint of salt. Creamy filling and fresh, sweet-tart berries seal the deal. 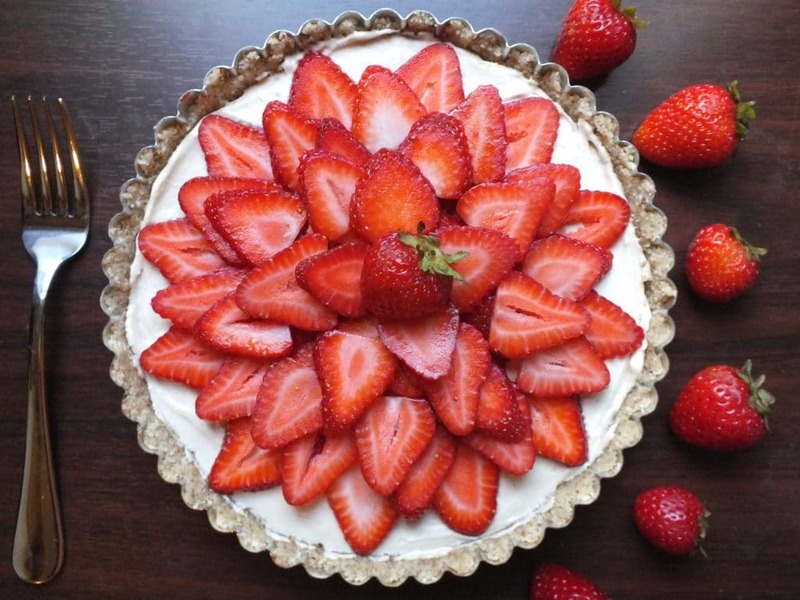 This irresistible dessert was made for hot July afternoons. Start off by blanching almonds for the crust. Soak the almonds in a jar or bowl of water for 20 minutes. After the time has passed, pour out the water, rinse the almonds, and remove the skins. You should be able to easily wiggle and pinch the end of each almond to get rid of the skin. Allow the almonds to dry for another 15-20 minutes, then food process them. 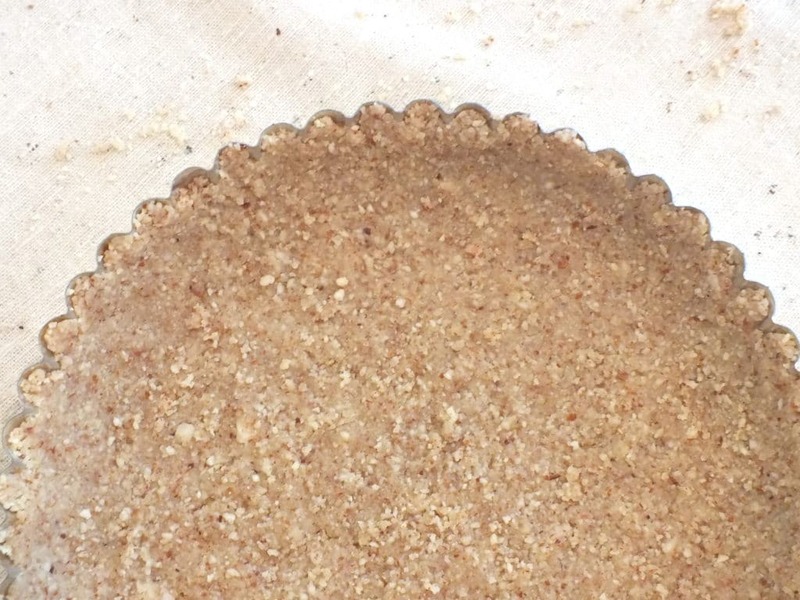 Measure out the almond flour to be sure the amount didn’t change before and after food processing. Empty it into a medium bowl, then add honey and salt. Use your hands to mix it together. It should seem slightly crumbly. But if you squeeze a portion of it in your hand, it should stick together and seem dough-like. If it doesn’t, just add a little more honey and mix it in. 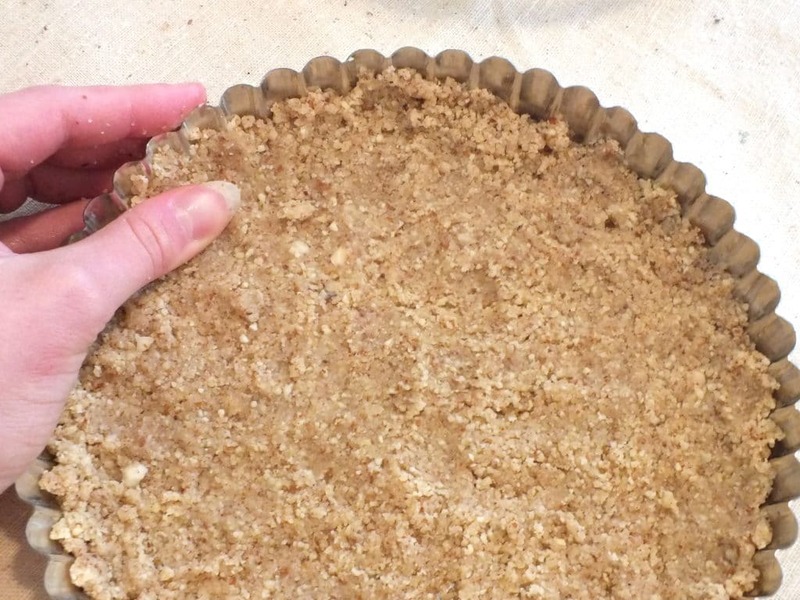 Empty the crust into the tart pan and press it down, starting in the center and working your way outwards and up the sides. Wash the berries and remove the stems, then slice into ¼ inch slivers. Set in the fridge until you need them. We used our trusty coconut milk whipped cream recipe to create the filling, with one minor change. We were out of powdered cane sugar so we used powdered coconut palm sugar. It made the whipped cream a light caramel color but didn’t change the texture or flavor at all. Carefully remove the can of coconut milk from the fridge. Keep it steady so the cream stays at the top. Open the can and scoop out all of the thicker material. Keep going until you reach the liquid. Add vanilla and powdered sugar and use a hand mixer – on medium/high speed – to combine. 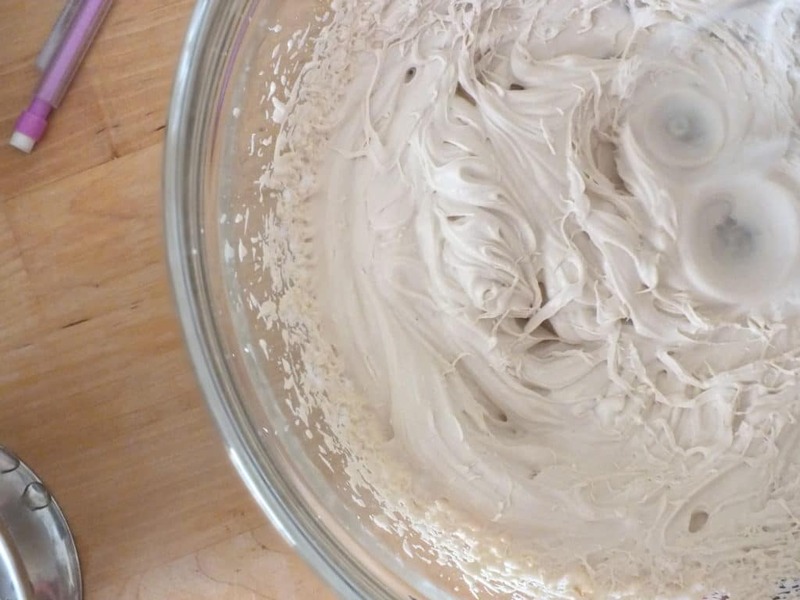 Keep mixing until it is light and fluffy, like whipped cream. 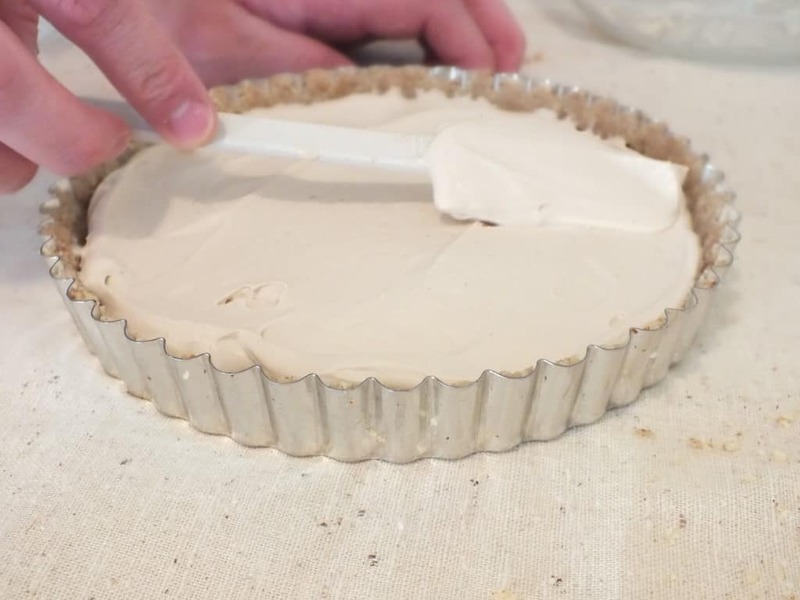 Use a rubber spatula to empty the whipped cream into the tart pan. Even it out smoothly and push it into all the edges. Start placing the berries around the outside and work your way in. When you place the final berry, pop the pie into the fridge and allow it to set for about 1 hour. To be honest, we tried a bite as soon as we got the winning shot for the recipe. But after having another piece later, we realized it got even better after chilling for a while. The choice is yours. If you feel like keeping this extra simple, another equally delicious option would be to mash the berries and spoon it onto the slices as you serve them. 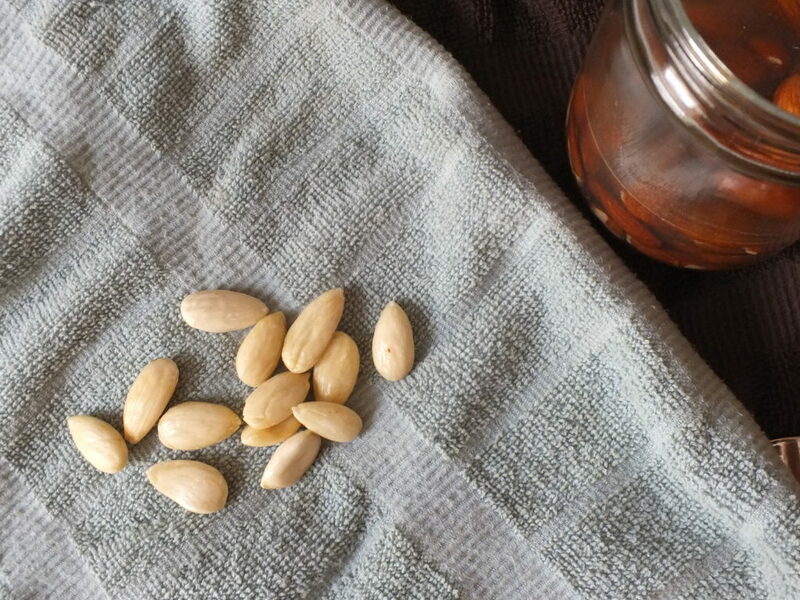 Soak the almonds in a jar or bowl of water for 20 minutes. After the time has passed, pour out the water, rinse the almonds, and remove the skins. You should be able to easily wiggle and pinch the end of each almond to get rid of the skin. Allow the almonds to dry for another 15-20 minutes, then food process them. Empty it into a medium bowl, then add honey and salt. Use your hands to mix it together. It should seem slightly crumbly. But if you squeeze a portion of it in your hand, it should stick together and seem dough-like. If it doesn’t, just add a little more honey and mix it in. Carefully remove the can of coconut milk from the fridge. Keep it steady so the cream stays at the top. Open the can and scoop out all of the thicker material. 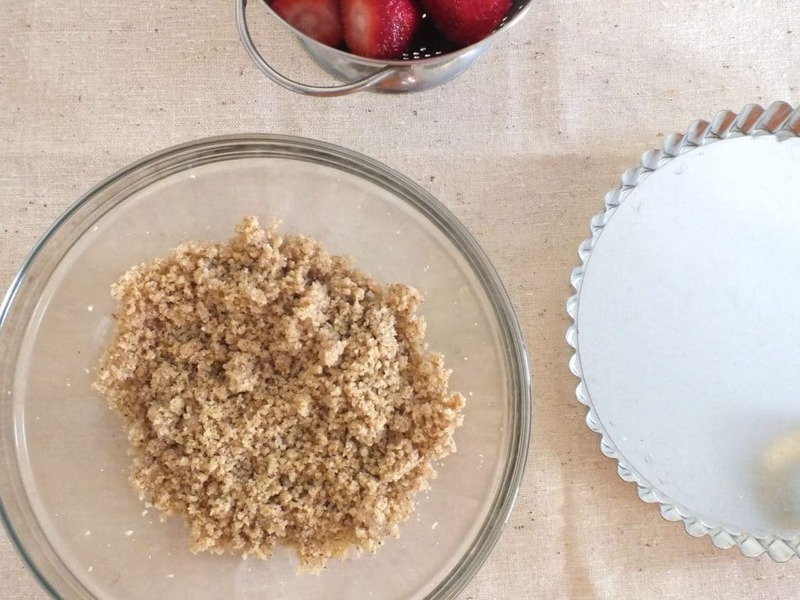 Add vanilla and powdered sugar and use a hand mixer – on medium/high speed – to combine. 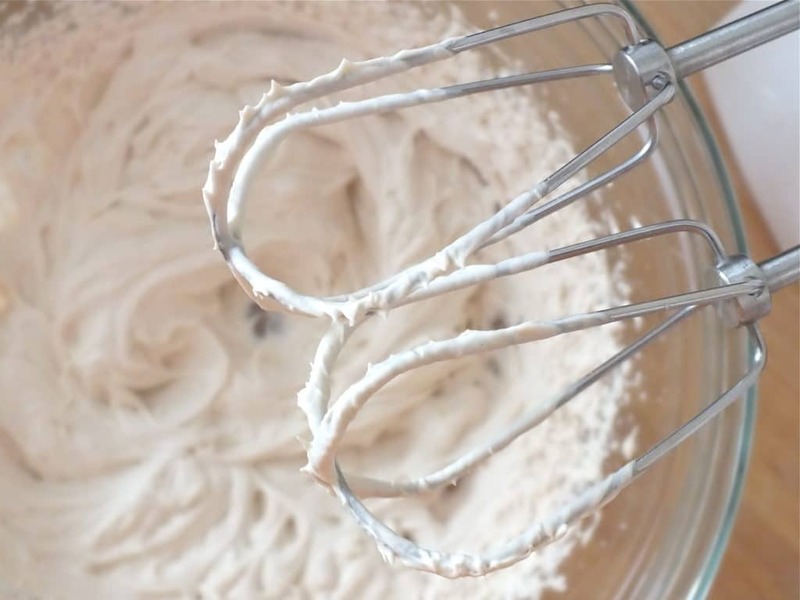 Keep mixing until it is light and fluffy, like whipped cream. Refrigerate for 1 hour or longer. Enjoy! Important: Coconut milk needs to sit in the refrigerator for 2-3 days undisturbed prior to making the coconut whipped cream. It needs this time to separate. Thank you! 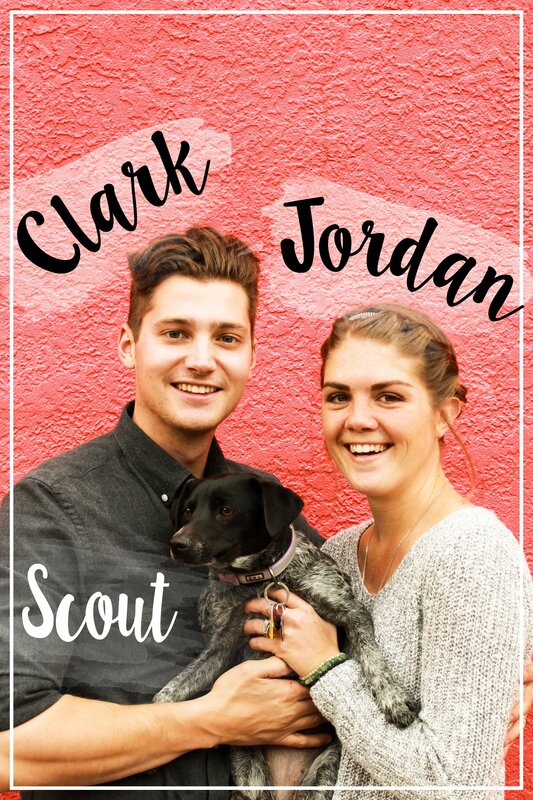 Clark designed our header and layout for the website. We use the genesis framework to build off of because it gives us a lot more freedom with designing. The theme we use was created by Shay Bocks (www.shaybocks.com). That will be just fine – when we made it, it tasted even better the second day. It should last about 3 days in the refrigerator! Any longer than that and the crust may start to get soggy. 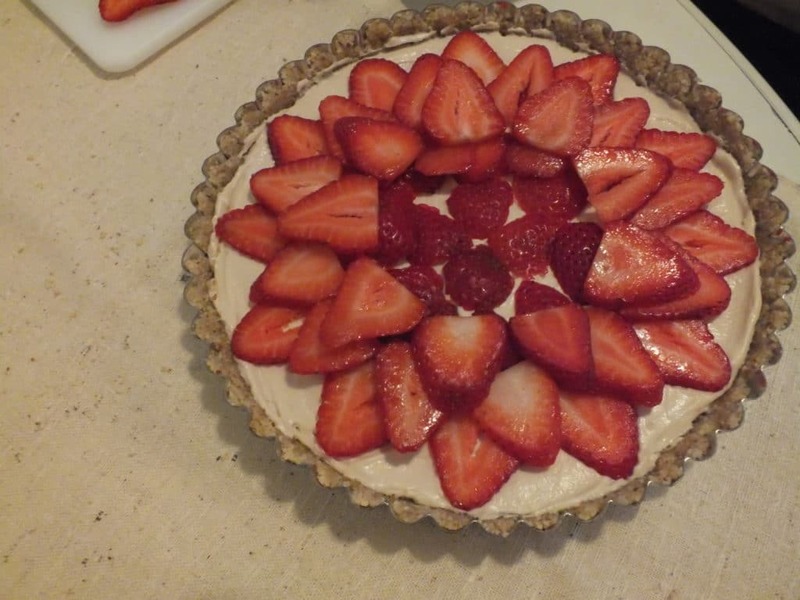 Made this for dessert and it was amazing! So delicious. Can’t wait to try more of your recipes. Thanks for sharing.